KOEI TECMO America has announced that SAMURAI WARRIORS: Spirit of Sanada is coming West. This entry in the series is set in the Sengoku era Japan and follows the story of the Sanada Clan. KOEI TECMO America also announced a pre-order bonus pack for the game. Pre-orders from Amazon, Best Buy, EB Games, or GameStop will receive a selection of five special costumes: the Kunoichi, Ina, Kai, and Chacha Sanada Colors Costumes, as well as the Kunoichi Special Costume. SAMURAI WARRIORS: Spirit of Sanada will launch on Steam and the PlayStation 4. You can find out more information about this release in full press release below the break. Burlingame, Calif – February 17, 2017 – KOEI TECMO America today is pleased to reveal the latest entry in the renowned SAMURAI WARRIORS action series, SAMURAI WARRIORS: Spirit of Sanada – a new adventure based on the heroic legend of the Sanada Clan, a cunning group of warriors from Sengoku Era Japan who believed in survival at all costs. A first trailer ushers in the announcement of SAMURAI WARRIORS: Spirit of Sanada, slated to release on May 23, 2017 for the PlayStation®4 computer entertainment system and digitally on PC via Steam®. A historically inspired action title set in Sengoku era Japan – the storied historical period also known as the Age of Samurai – SAMURAI WARRIORS: Spirit of Sanada focuses solely on the legendary Sanada Clan. Through their fierce will to survive, they fought with upmost vigilance to ensure that the Sanada name would be withheld throughout history. The tale of the Sanada Clan begins with patriarch Masayuki Sanada, a much-requested character who joins the SAMURAI WARRIORS series for the first time. 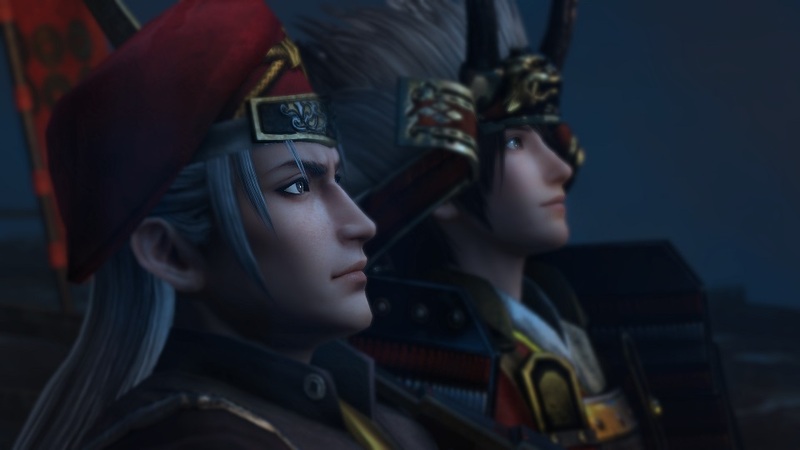 The player follows Masayuki’s first battle, trailing the clan’s meteoric rise from lowly vassals to powerful lords which led to the birth of the fan-favorite samurai, Yukimura Sanada. Continuing the clan’s legacy, players will then journey from boyhood as the legendary warrior, following his footsteps as Yukimura rises to the title of “The Crimson Demon of War.” Players will also experience the epic tale of his father’s reign and his finest battles, up to his valiant final stand at the Siege of Osaka. KOEI TECMO America also announced a robust pre-order bonus pack for SAMURAI WARRIORS: Spirit of Sanada. Those who pre-order the game from Amazon, Best Buy, EB Games, or GameStop will receive a selection of five special costumes: the Kunoichi, Ina, Kai, and Chacha Sanada Colors Costumes, as well as the Kunoichi Special Costume. While more information about the game’s plot, key mechanics, and many playable characters will be unveiled in the coming weeks, a first selection of images were released alongside today’s announcement, showcasing Masayuki Sanada as well as a brand-new design for Yukimura! For more information on SAMURAI WARRIORS: Spirit of Sanada, please visit the official website at koeitecmoamerica.com/spiritofsanada, Like KOEI TECMO America on Facebook at www.facebook.com/koeitecmous, and become part of the #KTfamily by following KOEI TECMO America on Twitter at @KoeiTecmoUS. ©2016-2017 KOEI TECMO GAMES CO., LTD. All Rights Reserved. The KT logo is a registered trademark of KOEI TECMO HOLDINGS CO., LTD.